Mindy Klien and her family live in a crack in the wall of New York's historic Eldridge Street Synagogue. 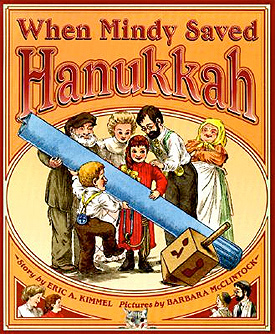 Right before Hanukkah, an encounter with the synagogue cat leaves her father with an injured ankle, it's up to Mindy to face the ferocious feline and get a candle for the menorah. In the process, she gains a true appreciation of the meaning of the holiday.